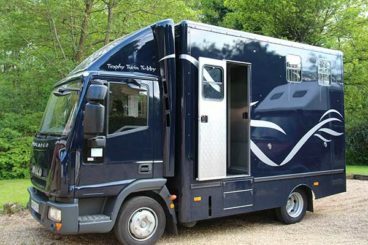 Exclusively built by Peper Harow Horse Boxes, the Trophy range of coach built horse boxes is our signature range. 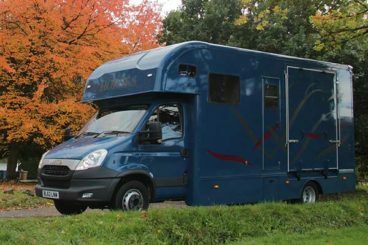 They are available in various sizes from a small 3.5 Tonne that can therefore be driven on a normal car licence, through to a large, luxury Travelmaster of 7.5 Tonne or HGV size. 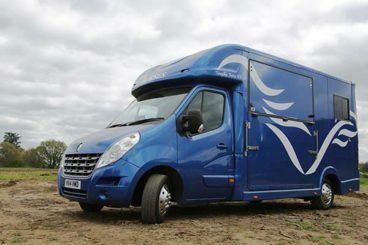 Our most popular horse box in the Trophy range is our Trophy Twin. 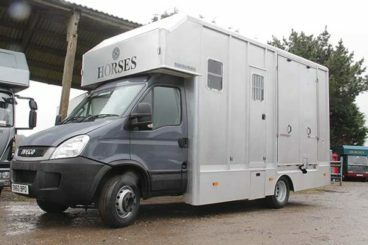 Available in 5.2 – 6.5 Tonnes, it has been designed with a side load ramp and is easy to drive and manage. The Trophy Twin is available in a short wheel base (SWB) and long wheel base (LWB). For those where budget is a consideration the Trophy Thrifty is a more cost effective option. Alternatively the Trophy Tubby offers a cut down wheel base from a 7.5 Tonne, so offering a shorter length without compromising on the weight. 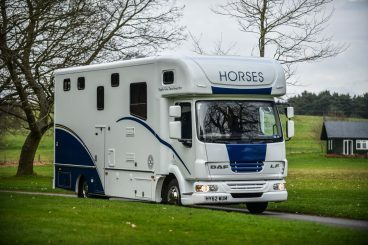 Click on the horse boxes below to view details and photos of each of the vehicles in the Trophy range. 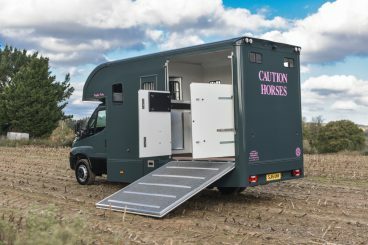 All of the Trophy horse boxes are built on a relevant size chassis, either provided by Peper Harow Horse Boxes or supplied by the customer. The age, size and condition of the chassis influences the overall vehicle price. All new builds are provided with a fully serviced chassis with a new test certificate and weigh bridge certificate and come with a 3 month mechanical warranty and a 1 year warranty on the build.